Data collected by Strategy Analytics notes that global smartphone shipments reached 353.3 million units in the first quarter of 2017. Of that 353.3 million, 21.5 million were the iPhone 7, with 17.4 million the iPhone 7 Plus. 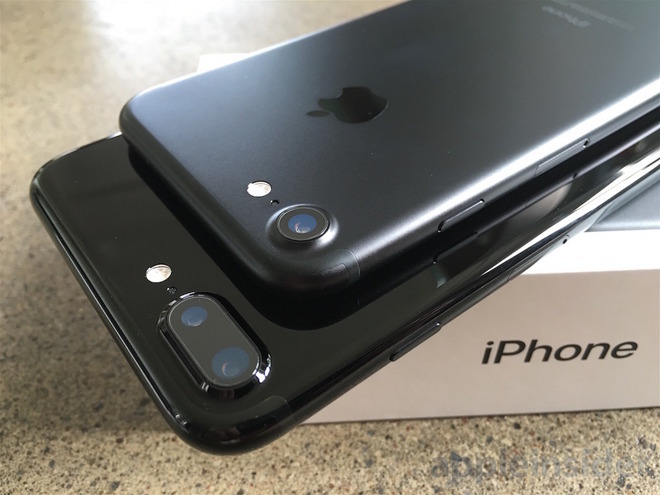 Given those figures, the iPhone 7 claimed 6.1 percent of global smartphone sales, with the iPhone 7 Plus taking 4.9 percent. Rounding out the top 5 are the Oppo R9s at 2.5 percent, and the midrange 2016 Samsung Galaxy J3 and J5 taking 1.7 and 1.4 percent respectively. The Oppo R9s retails for around $425. The Galaxy J5 sells for $180 with the J3 retailing for $150. On April 26, Apple announced its second fiscal quarter results. During the quarter, the company sold 50.8 million iPhones, but as usual did not break down by model. Apple CEO Tim Cook called the declining second quarter iPhone sales year-over-year partly because of more frequent, and earlier leaks of details for future products. The "iPhone 8" rumor mill started in December of 2015, shortly after the release of the iPhone 6s.